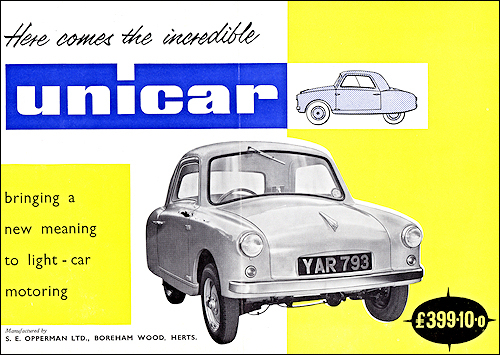 Unicar Saloon is a plastics-based rear-engined ultra-light economy car introduced by S. E. Opperman Ltd of Boreham Wood, Herts, in the autumn of 1956. It feature a two-door body with seating for two adults and two children, an Anzani 322-cc twin cylinder two-stroke engine, and a three-speed gearbox. 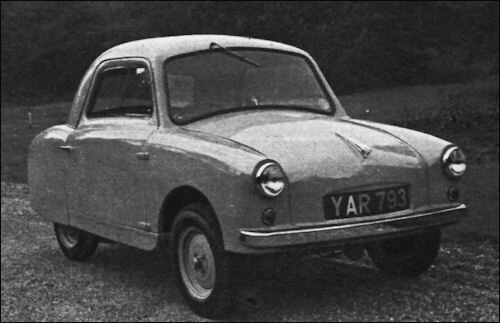 The car is only 9 ft 6 in long and sold at just under £400.